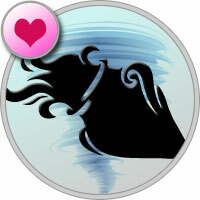 Your 7th House of Love and Marriage is not a House of Power this year, Aquarius. Thus there seems to be little interest in this area. But two Eclipses in your 7th House of Marriage ensure there will be some excitement here. Married people could experience crises in their relationships, and singles could yearn to change their status. For married people the survival of the marriage is far from a sure thing. The problem in love this year is the same as it was last year - your need for change, your need for absolute freedom, your wanderlust and your changing affections. This makes it very hard for your partner to keep up with you. Your partner feels he or she hardly knows you. No sooner does your partner get accustomed to one type of you than you change into another you - a new and updated version -and so the process has to begin all over. And since you are changing very rapidly, it is only natural that your affections change as well. Further complicating things is your personal beauty and glamour. Seldom has it been this strong. Thus you are attracting many others, but baffling them as well. Both you and they are confused by your inconsistencies. Stormy love vibrations are all around you. Even the strongest of relationships will have a rocky road. For singles, the safest route is uncommitted love affairs. There will be plenty of opportunities for these later on in the year - from the summer onwards. These too seem stormy but will become much more stable after 27th October when Saturn leaves your 5th House. Saturn in your 5th House of Love Affairs from llth August to 27th October indicates a clandestine relationship with someone older. This, for various reasons, needs to be kept under wraps. Jupiter in this House from 1 st July onwards suggests love affairs with people who were formerly friends or acquaintances - or perhaps people you meet at professional or social organizations. From llth August to 27th October you could be dating two people at the same time: one openly and one in secret. After 27th October the field narrows down to one. Marriage opportunities could come between 13th July and 22nd August, but these seem short lived. Your mood is more romantic and you are perhaps thinking along these lines, but changeable Uranus in your own Sign is sure to assert itself. There will be many love affairs of the mind as well as the body this year. A single parent could remarry from 15th February to 1st July. Siblings are doing well and probably attracting interest, but the status quo will prevail on that front (that is, if they are single they are likely to remain so, if married likewise). Children of marriageable age will meet a significant other. Marriage is a strong possibility - but the road is rocky. Grandchildren of marriageable age are involved in a serious relationship early in the year— with marriage very likely.